In November 2009 we were approached by a local primary school who wished to reconfigure their entrance and staff areas. Their aim was to improve the quality of both areas and to create additional space to allow staff the opportunity to prepare for lessons without being disturbed. In conjunction with the School, Local Education Authority and Diocesan Education Department we carried out a feasibility study and then applied for the relevant permissions. 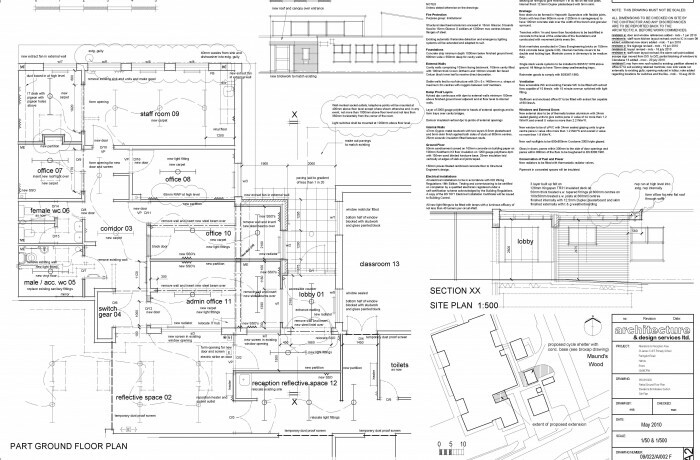 Having obtained the various approvals required for this type of project (Planning, Building Regulations etc.) we were retained to tender the works and oversee progress on site. Construction work was started in July 2010 and was completed, slightly late, in October of the same year and the school were over the moon with the finished article.